Quick Wits – Friday the 13th! With a Friday the 13th on the calendar AND a full moon in the sky, it seemed like a perfect night for Quick Wits to try there hands at Stand Up Comedy. 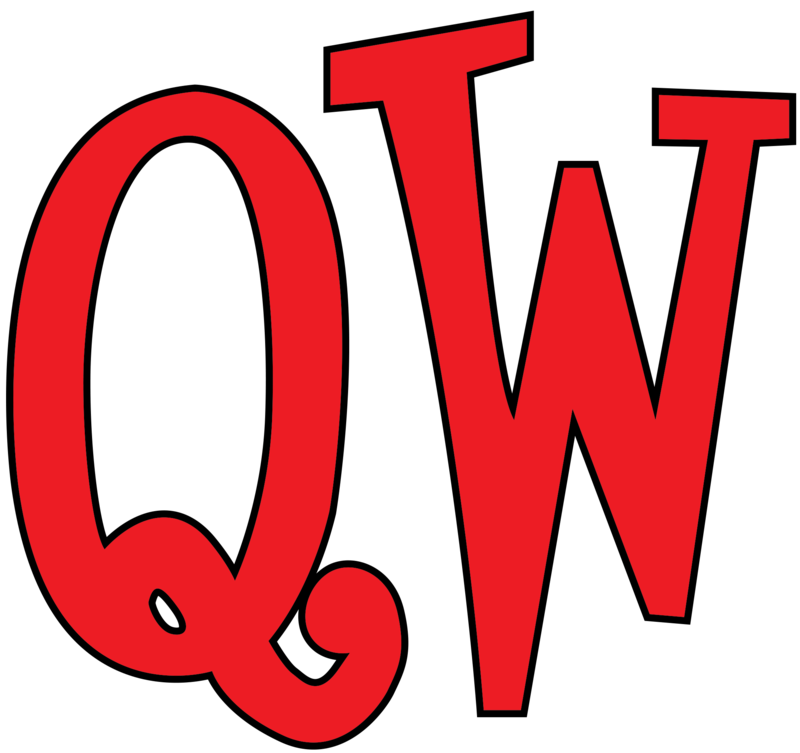 This will actually be a regular event with Quick Wits throughout the summer with every Second and Fourth Fridays being a Stand Up Night featuring QW actors and local comedians. And best of all it’s TV Clean so come on out and support great comedy! The first night saw great stuff up and down the line up. Nine comedians took the stage and all had their own unique style. From the QW stable Jason Wild had some great stuff about his daughter (he’s not always creepy) and Jonathan Tate did a hilarious sign language rendition of “Bohemian Rhapsody”. QW Newbie Jackson Banks showed just how funny he is, and how bizarre his thoughts can be, and the ToySoup team of Andrew Jensen and Troy Taylor each did a knock out set. Bob Bedore came in at the end with a short set and thanks to the audience for making this first night so fun. Of the non-Quick Wits comedians on Friday, Alex Velluto had the audience laughing early and often. His bit where he explains Laffy Taffy jokes was a big hit. Don’t miss a night of great (and safe) comedy. The Stand Up Show on the 27th is already shaping up to be a great one as comedians from all over the state are contacting us after hearing about last Friday. We hope to build this into something really big in Utah! With the birthday of Jourdan Dixon on Sunday, it seemed only appropriate that we let him be the “Improv Almighty” for the Saturday Show. This meant that Jourdan got to pick games he wanted to play and could make any rule changes that he deemed fit. What were we thinking?!?! With Jourdan as the “Nit Wit” (playing for both the Dim Wits AND the Half Wits), we were in for a night of big laughs. There were so many great moments Saturday Night and both the actors and audience were in tears. Bob forced the other team into a new game called “Musical Argument” where the actors had to have a fight, but set it to music. Suddenly the “fight” turned into Jourdan playing a Cougar of a mom who was going to marry her son’s roommate. A great “Heckler Battle” based on Orphans escaping was also a big hit. The ending got really messy with a game of “Helping Hands” and the team of Bob, Lauren and Collin forming one person who wanted to make a birthday cake for Jourdan. Let’s just say that there wasn’t much edible by the end of the game and that Bob had to down about half of a can of Whip Cream. A tremendous night of fun at the Midvale Main Street Theatre and further evidence on why it’s hard to miss a Quick Wits show. You never know what’s going to happen, and it’s never going happen the same way after that. Make plans now to join us soon!